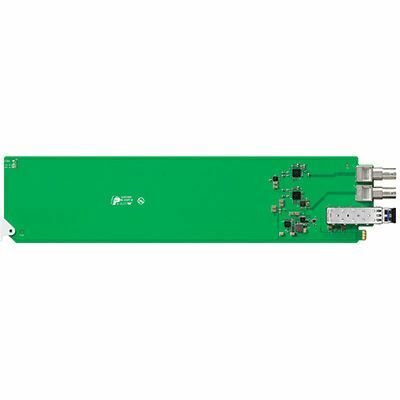 Convert SDI to Optical Fiber, and Optical Fiber to SDI simultaneously. Blackmagic OpenGear Optical Fiber auto switches between any SD, HD, 3G HD-SDI video standards and each direction is completely independent. 1 × 10-bit SD/HD/3 Gb/s SDI switchable.